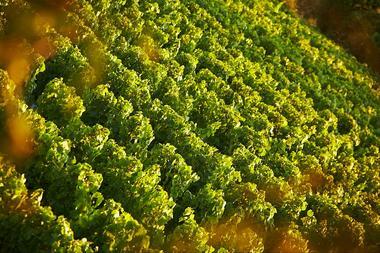 BREM, EXCEPTIONAL TERROIR, VINEYARD OF THE COAST OF LIGHT. 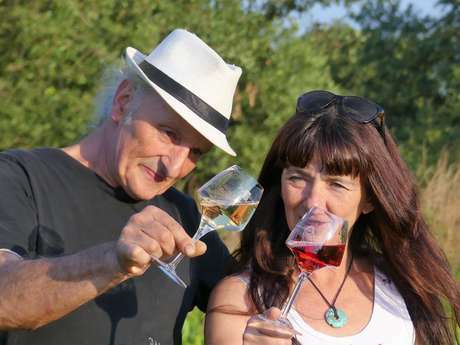 On the Wine Roads, this 39 km wine tour takes you south of Brem for a trip to the Pays des Olonnes. 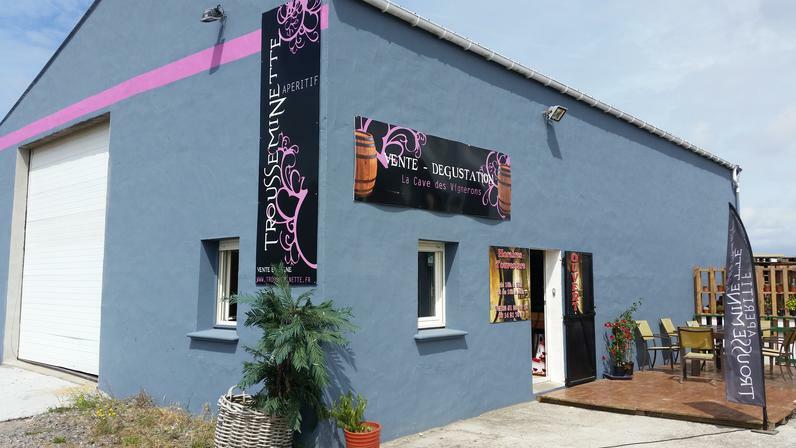 This loop will take you between oenological tasting and Vendée landscapes. It's time for a nature and sports day! 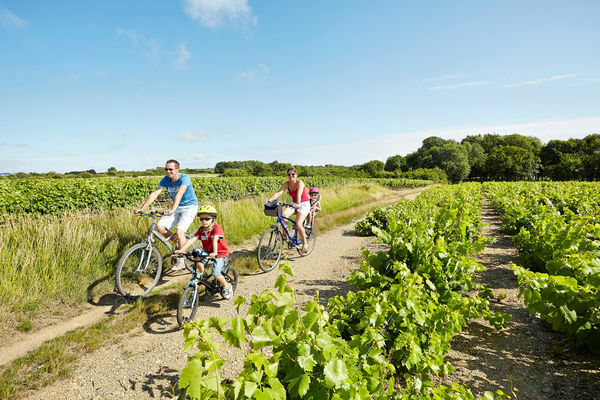 From Brem-sur-Mer, you can rent a bike and head towards the fishing village of La Gachère for a good breath of fresh air. The Côte de Lumière, a very sunny area, deserves its name. 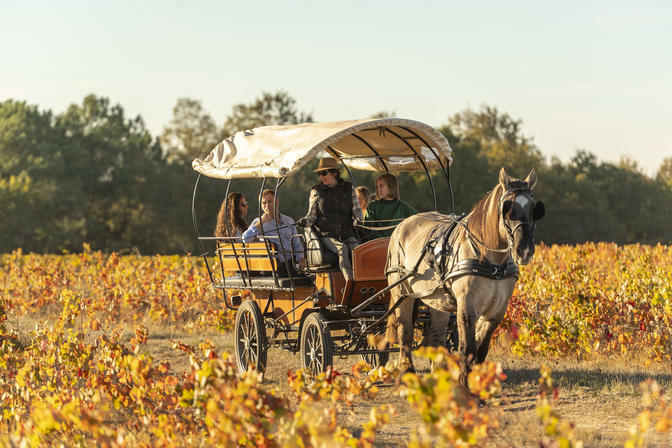 The sun gives different shades to varied landscapes: salt marshes, great beaches, dunes, small villages ... On the Wine Roads, lay down for a nice fishing party, and maybe catch one or two bars before Get back on the road! 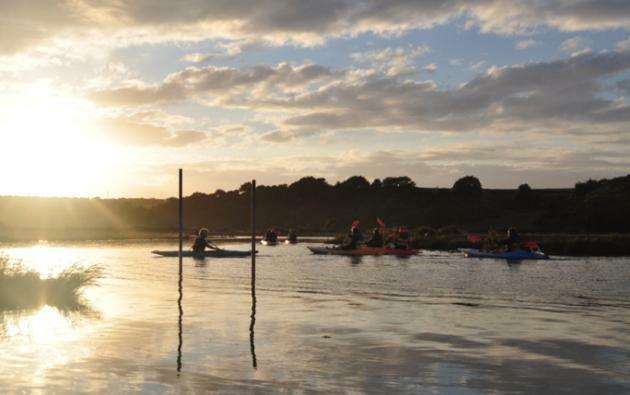 In Les Sables D'Olonne, the kayak or the stand-up paddle in marshes are in order! 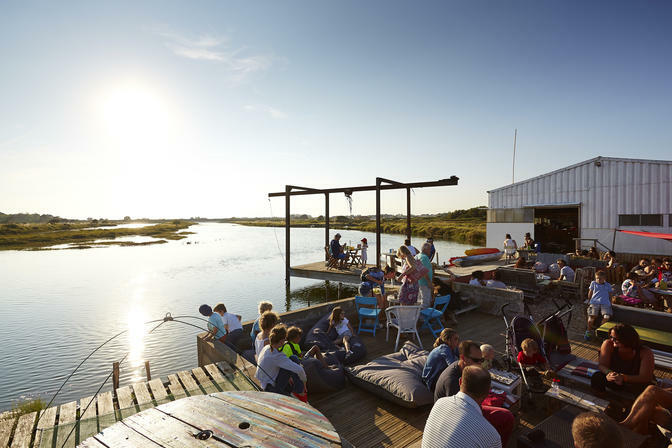 And after the effort, the comfort ... For a gourmet break, enjoy a sweet Vendean brioche with a view of the marshes, or stop in one of the many areas to enjoy a glass of Brem wine. 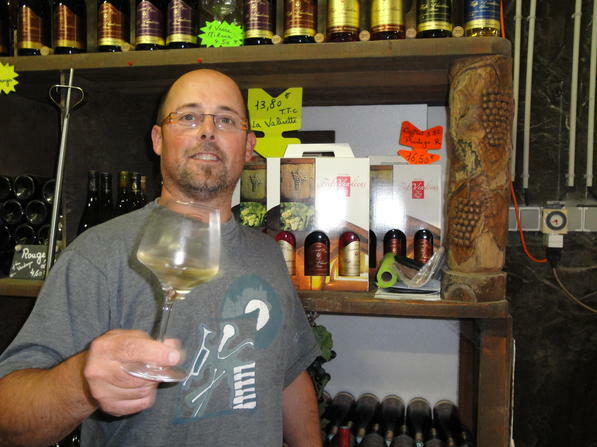 L'Île d'Olonne, the last stop, has many surprises! 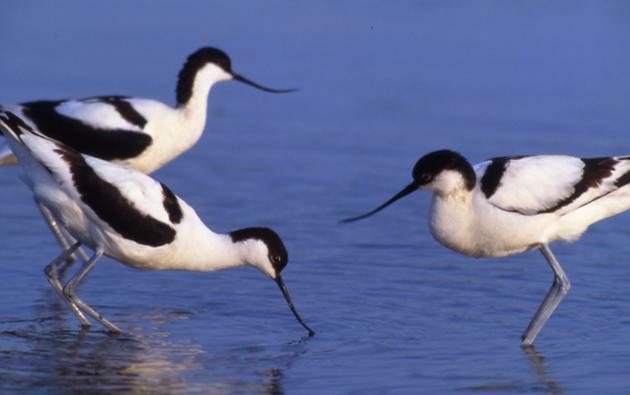 The children will be able to observe the birds at the bird watching observatory. 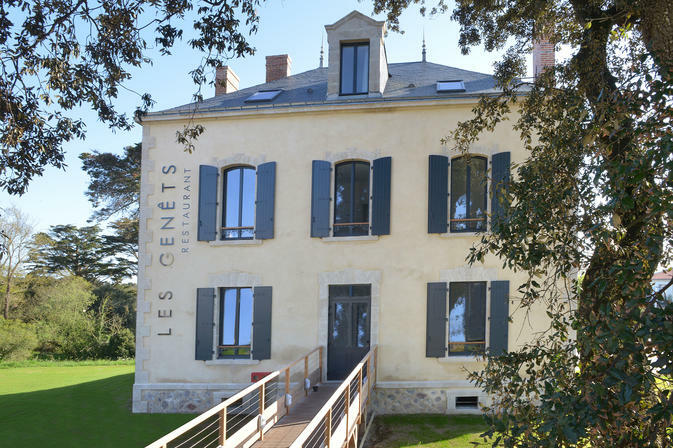 23 Museum of "la petite gare"
Green lung of Brem sur Mer located in full heart of the village on the D38. 6 shaded picnic tables, boules pitch, children's games, bike path, green theater. Questions for children on the trees (booklet to take at the Tourist Office). Novelty April 2017: Treasure hunt for children starting from the Tourist Office (3 € per family). 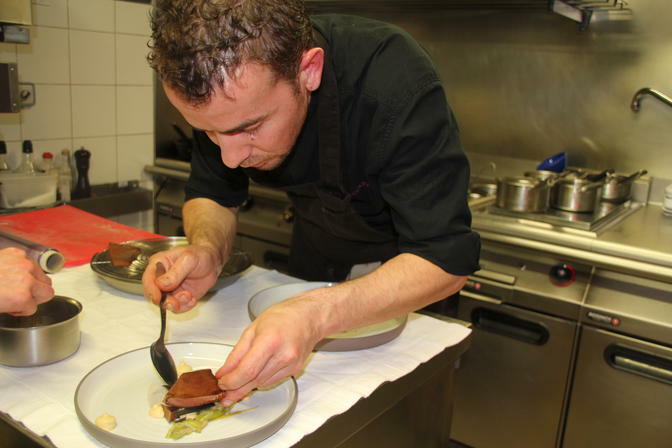 Chef Nicolas Coutand, starred Michelin in February 2017, elected 'Jeune talent' and 'Grand de tomorrow' by the gastronomic guide 'Gault & Millau' at the end of 2016. Former mansion entirely renovated by the town hall in 2014. 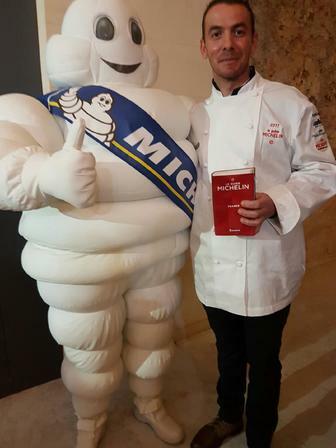 1 star in the Michelin guide 2017, 2 toques au Gault & Millau, Maître Restaurateur 2016, Quality Restaurant. Open year round. 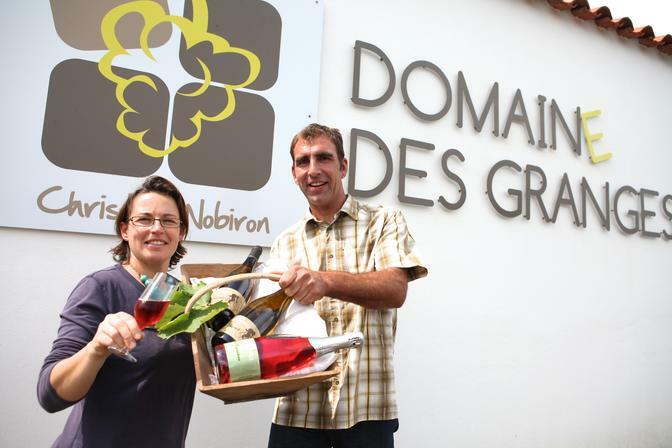 Offers Michon and Nobiron wines in matching food and wine. Recommended by Le Petit Futé. 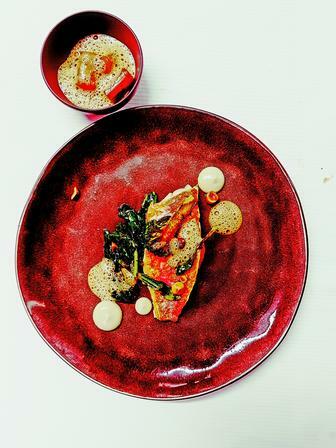 Menu from 27 € lunch on weekdays. 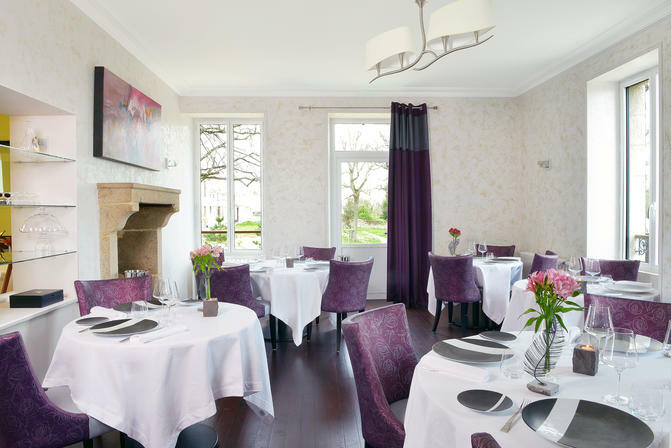 48€ the diner / Children's menu from 16 €. The sphere, symbol of the earth, emerges from the water where the original forces reign. 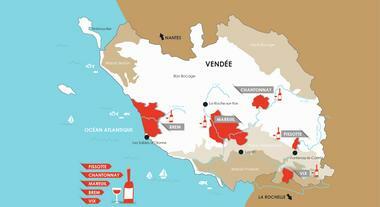 On the nucleus of the earth, stretch the nodes of the grape vine, ancestral activity of Brem sur Mer. 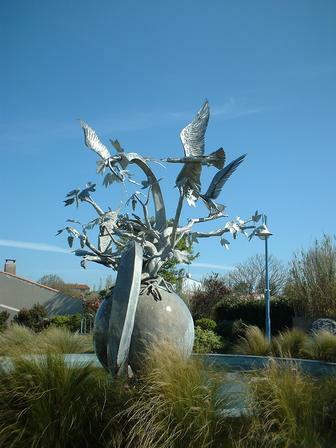 An arabesque, symbol of movement, takes the sea birds in a gourmet round around the vine. 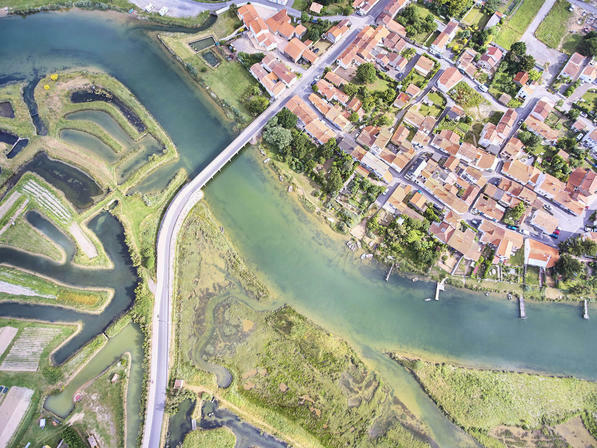 The village of la Gachère is an ancient port that remained in operation until the 16th century. 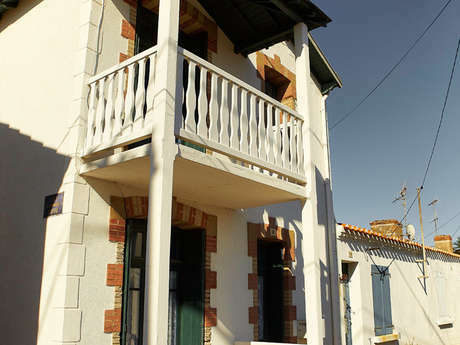 It is now abandoned but it is possible to visit this fishing village remained very typical with its small lanes and small houses whitewashed whitewashed. From the bridge, superb view of the river Auzance. The marshes are of historical interest, laid out in salt-works until the end of the 17th century. 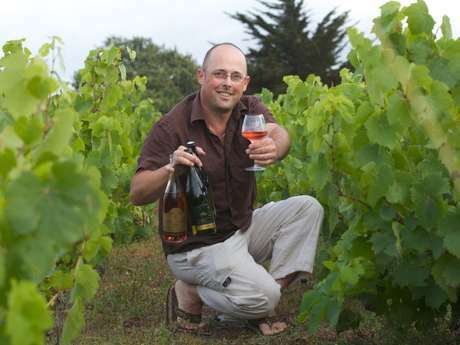 Christian Nobiron, winemaker: expression of terroir. A vineyard whose vines are reflected in the salt marshes, cradled by the ocean and protected by the forest of Olonne. The vines are traditionally cultivated and harvested by hand in order to obtain the best and the authentic. July-August: Monday to Saturday 10:30 am to 12 am and 4 pm to 6pm, Sunday morning ..
Low season: Monday to Saturday 10:30am to 12pm and 4pm to 6pm. Closed Wednesday and Sunday. At the beginning of our era, the territory occupied by the marshes was covered by the sea. It was the Gulf of Olonne, separated from the ocean by the Isle Vertime (covered today by the forest of Olonne). Under the Roman Empire, Olonne became an important crossroads thanks to its small harbor 'Le Havre d'Olonne' located at the bottom of a bay well sheltered by the long Isle Vertime (current wild coast and forest of Olonne). 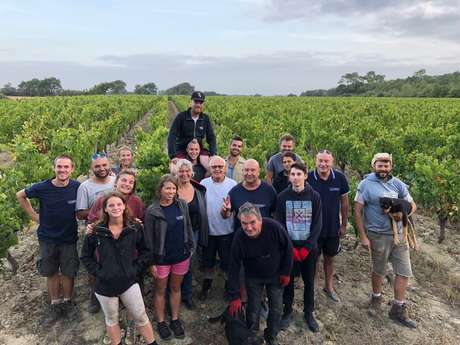 The creation of the salt marshes and the vineyards on the Island of Olonne date from this time and will make the richness of this region for 2000 years. 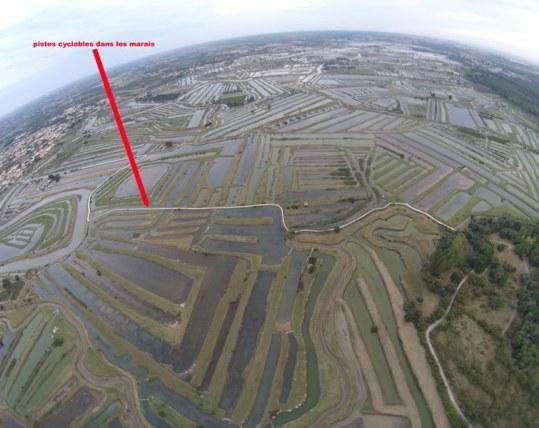 This gulf then transformed into a harbor, pisi into 2 basins separated by the butte de la Bauduère which were gradually filled: these are the current marshes of the Gachère in the north and basin of the Hunts in the south. These two basins are now connected by the Canal de la Bauduère. They receive the water from the rivers Auzance and Vertonne, while communicating, thanks to the locks, with the sea from which they undergo the tides. The line of the shore has changed. The island Vertime will become a peninsula. 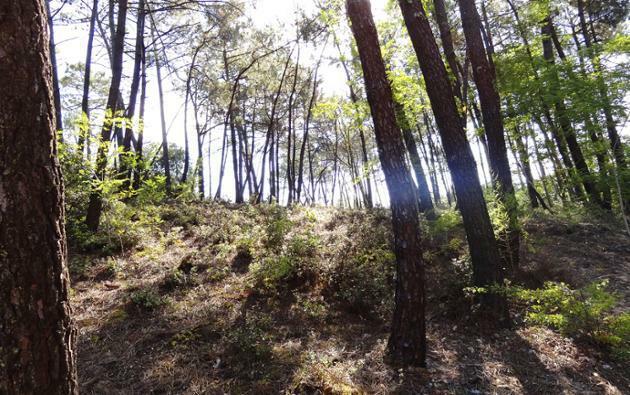 At the place called "Mireille", reforestation of young green pines in tight and parallel rows. Farther north, irregular old forest: groves of holm oaks, medlars, wild cormiers, blackthorns, hawthorns, tamaris, willows, acacias, etc. In the center of the forest: large acacias, alders, ash trees, poplars, beeches, birches, elders, maples, etc. Firebreaks form large unexpected straight trenches. There are deer, wild boars, squirrels; Among birds: ravens or magpies, wooden pigeons, jays, blackbirds, passerines, etc. Green or gray lizards - Take the vipers station. 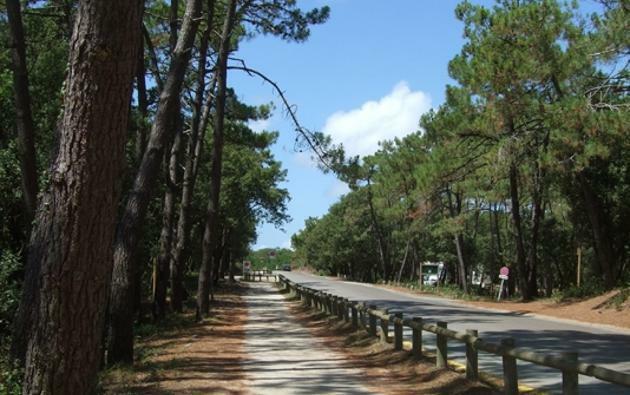 Enjoy the marked trails to discover the national forest, on foot or by bike! Fishing in salt water, by the day, half day, without card or permit. Fish: Bar, eels, sea bream, mules. On site, possibility to rent lines and picnic. Salt water fishing by day (10 €) or half-day (7 €) with Mr Vrignaud. 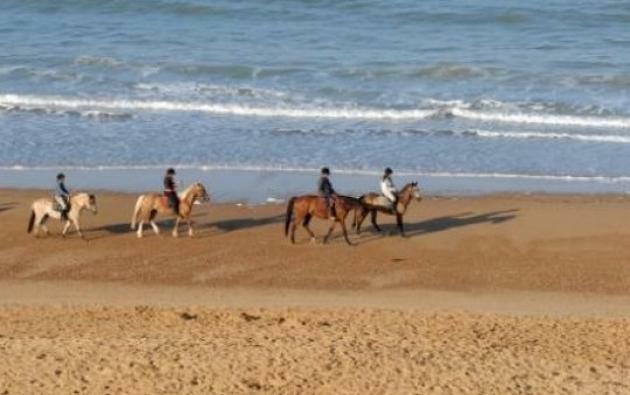 Located near the forest and the beaches of Olonne sur Mer, the center offers horse riding and pony riding on the beach or in the forest. Teaching by instructors Graduates of state, from initiation to perfection. Coupling. 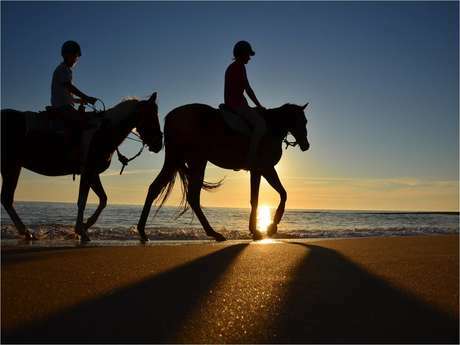 Accommodation horses and riders possible. 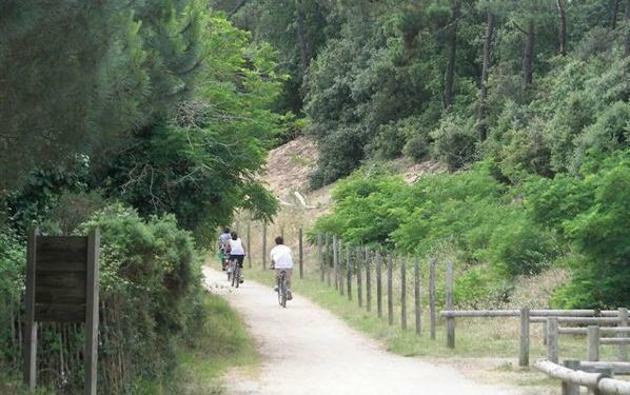 Bike and bike ride: bike rides in the forest, marshes and then aperitif vendéen facing the sea on the beach of Sauveterre organized by this bicycle rental. Home bike label. Open year round. Rental adult bicycles, children's bikes, trailers, tandems, child followers, child seats, helmets. Degressive rates depending on the duration. Chèques-vacances accepted. Delivery possible at the place of residence. 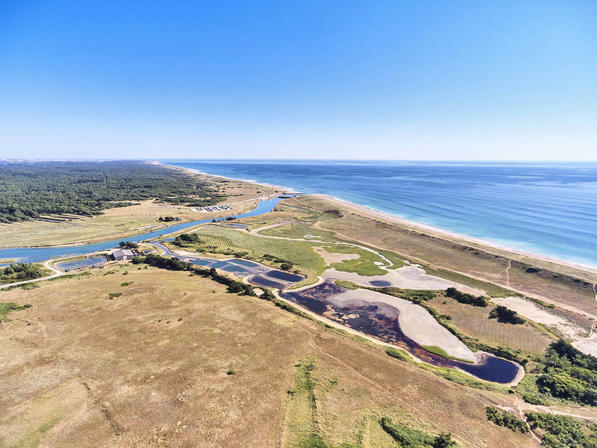 Proposal of course for superb walks (beach, forest, marsh). Adult 1/2 day 10 €, 1 day 13 €. 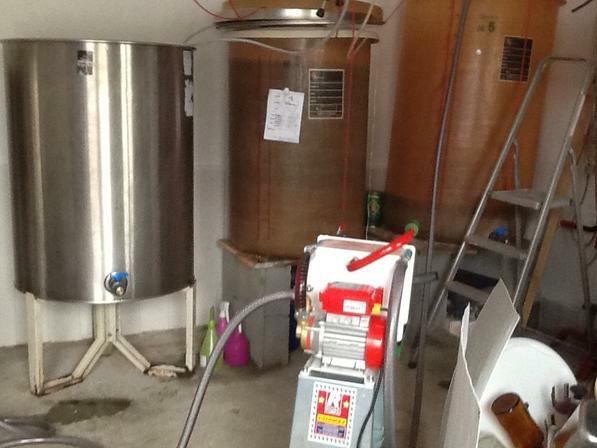 Rates very degressive over several days. Open all year. Traditional cuisine. 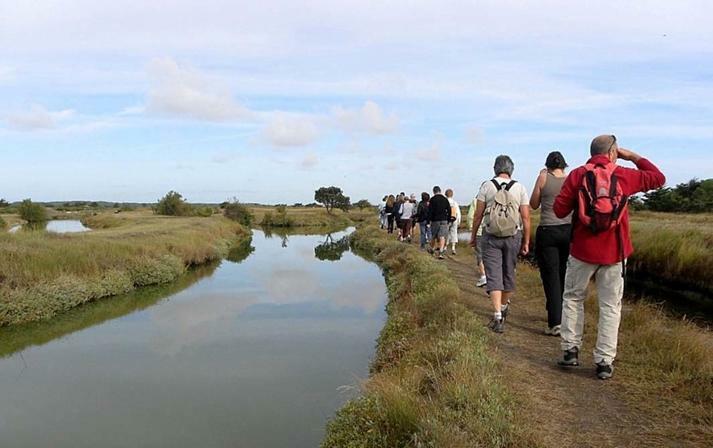 Discovery trail on the marshes of Olonne, starting from the Salines. Hike on the Salt River. 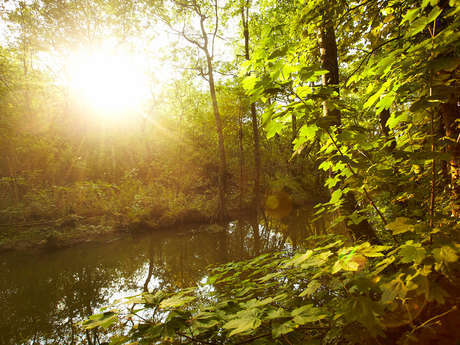 Lovers of nature or sport, go to the meeting of a site wild and preserved. Enjoy the diversity of fauna and flora. April to October. Stand up paddles and canoes. Boat trip on the Salt River. On board the Mireille and the Jonathan, between heaven and earth, guided tour in the heart of the swamp of Olonne. Then stop on the historical course of the salt, and show to the bleachers in the company of the sauniers. 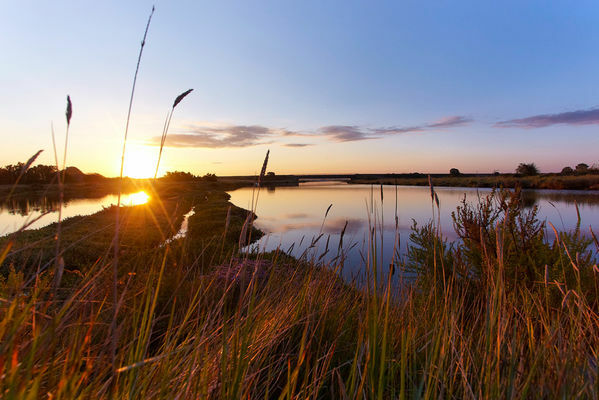 10 hectares of salt marshes, sablais heritage animated and sound. 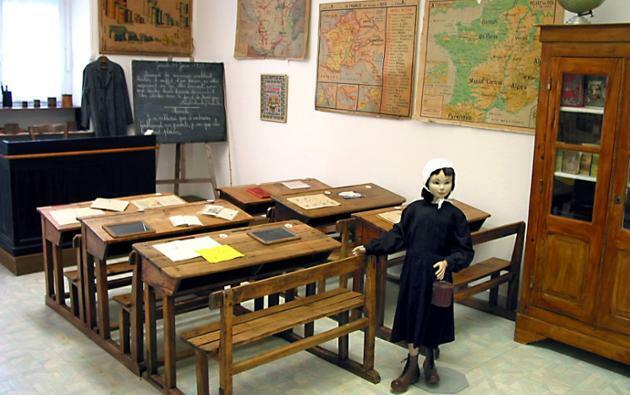 Salt collection by children, puzzles and pedagogy. Duration 2 hours. Observatory of birds. Open April-May-September-October from 9:30 am to 12:30 pm & from 2 pm to 6:30 pm. June-July-August from 9:15 am to 7 pm. 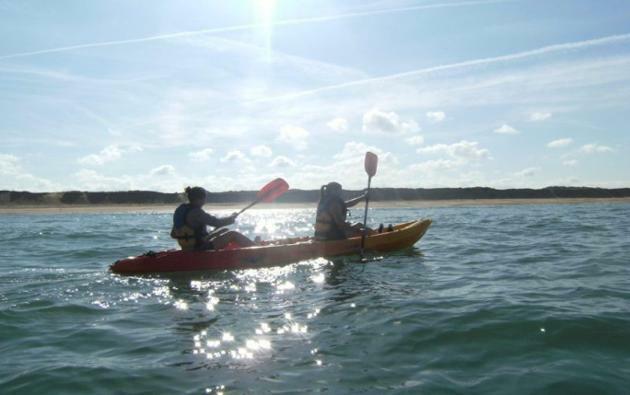 Stroll in sea kayak and stand up paddle, along the wild coast, accompanied by Bénédicte, qualified instructor. Open every day from 10am to 7pm in July and August, by reservation in May, June, September. 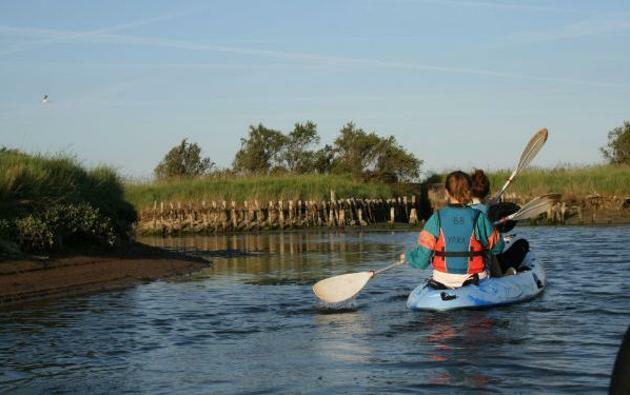 Sail on the Vertonne in the heart of the marshes and the reserve of birds, in kayak of 1 to 4 pers. 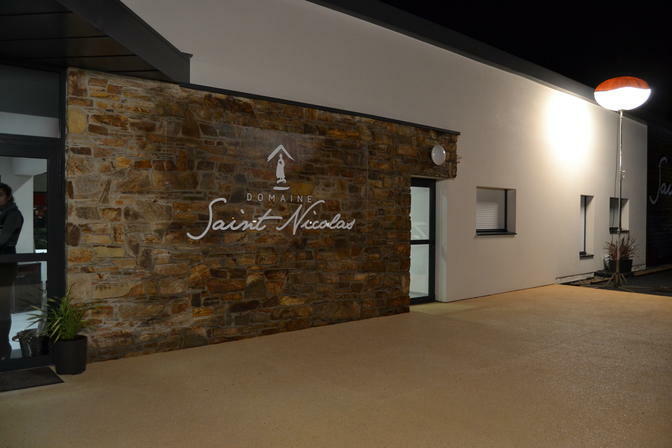 Rental on 2 possible routes and excursions in twilight or in night accompanied by Bénédicte. 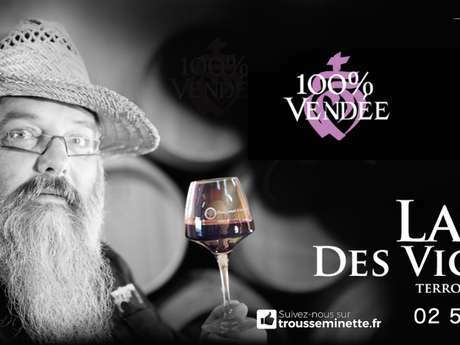 In the museum, discovery of local life at the beginning of the 20th century, traditional crafts, rural interior, costumes, headdresses, tools of the saunier, the farmer, the vigneron, the still, a class and memories of the Great War. In July and August from Monday to Friday from 3pm to 6.30pm and on Tuesdays and Thursdays from 10am to 12pm. June, September and Spring and All Saints holidays from Monday to Friday 14:30 to 17:30. The rest of the year on Tuesday from 14:30 to 17:30. 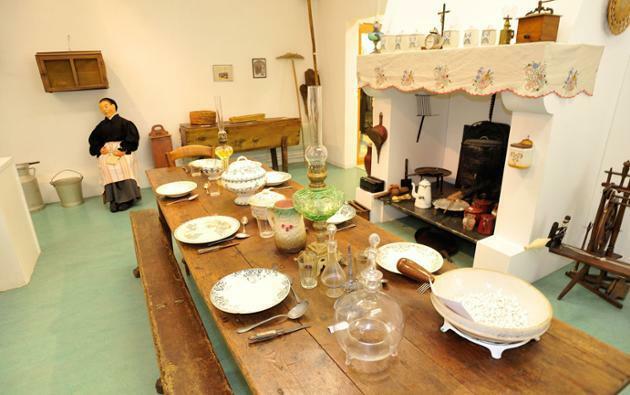 Set in a former school built in 1891, the museum presents the daily life of the inhabitants of the Pays d'Olonne at the beginning of the 20th century. 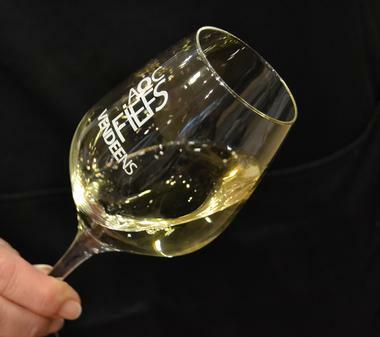 Discover through the 6 exhibition halls: a rural interior, costumes and headdresses, traditional craftsmanship, the tools of the saunier, the farmer, the winegrower, the distillery stills, a classroom, souvenirs Of the 1914-1918 war. Playful course for children. 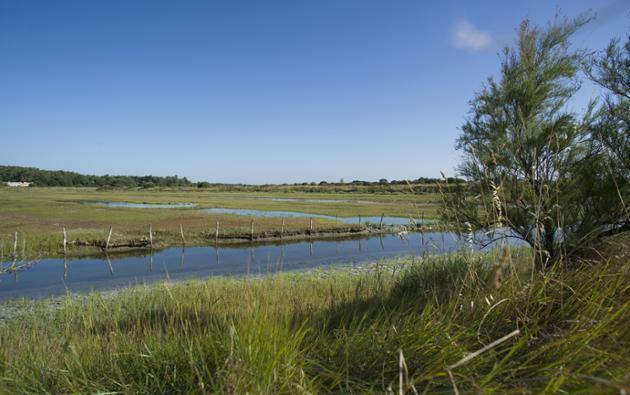 The ornithological marsh, a protected natural site of 1300 hectares. At the beginning of our era, the land occupied by the marshes was covered by the sea. It was the Gulf of Olonne, separated from the ocean by Ile Vertime (covered today by the forest of Olonne). The first salt-works date back to the Gallo-Roman period, and it was during the Middle Ages and until the 19th century that they were fully developed. Have become fish marshes for the breeding of eel and mule. 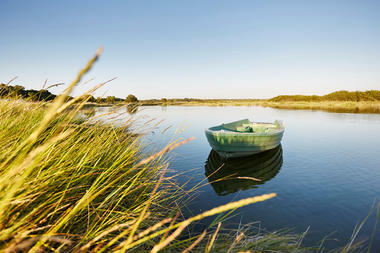 Seven salt marshes are still in operation today. 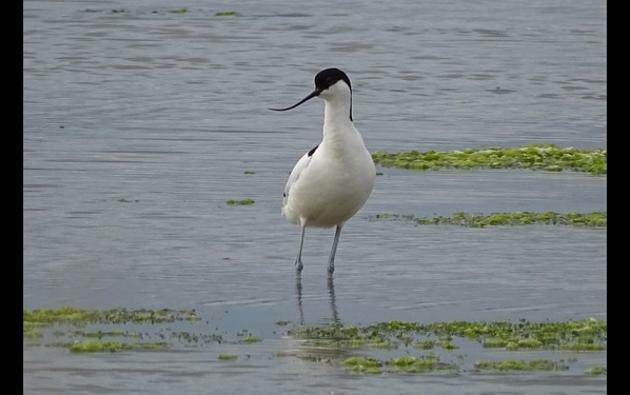 The saltworkers will be pleased to welcome you: in the Salines, 4 marshes are in operation at the Sables d'Olonne (marshes of the Aubraie) and 3 salt marshes on the Island of Olonne (marshes with beans, marshes Avocettes and marsh Rivolia ). 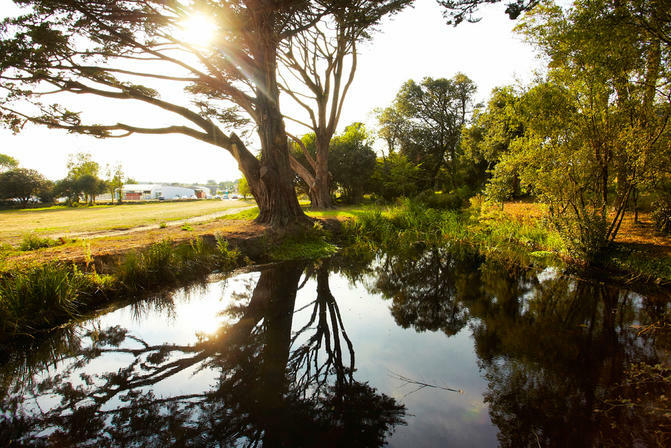 Sale of marshes on site. 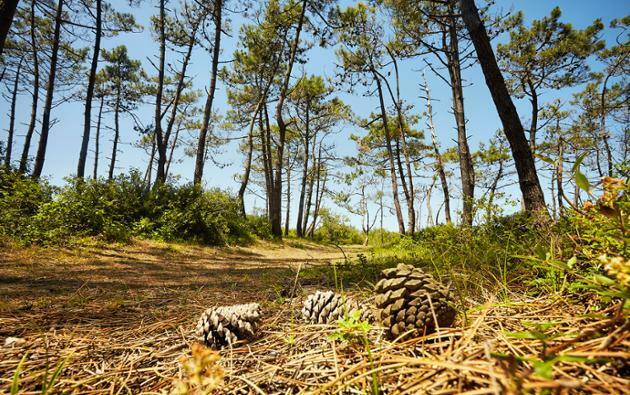 Free guided tours in summer, Olonne sur mer natural park, reservations at the tourist office 02 51 90 75 45. 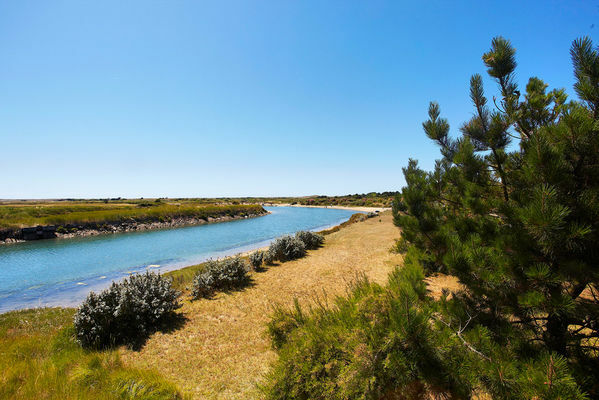 The marshes of Olonnes is a protected natural site of 1300 hectares which extends on the Sands of Olonne, Olonne on Sea and the Island of Olonne. It harbors natural riches with exceptional biodiversity and shelters species of plants adapted to life in the presence of salt (salicorn) and in places, species of rare orchids, which have developed under a weak human presence. Tourist route through the marshes offering superb natural landscapes. Currently salt is a common mineral. Previously it was linked to the sacred, to magic, as well as to medicine and popular beliefs. 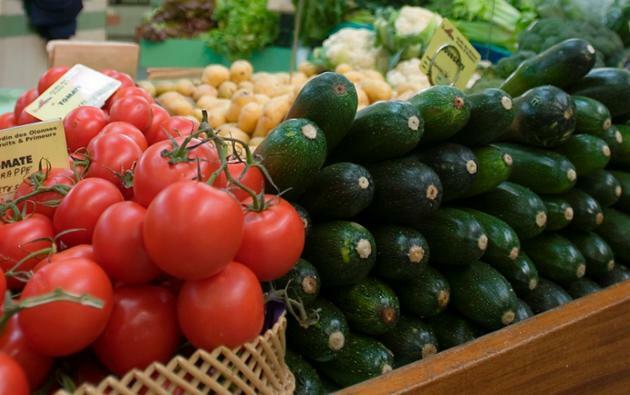 It is only in recent years that its role has diminished in the diet and that its symbolism gradually disappears. The first salt-works date back to the Gallo-Roman period, and it was during the Middle Ages and until the 19th century that they were fully developed. 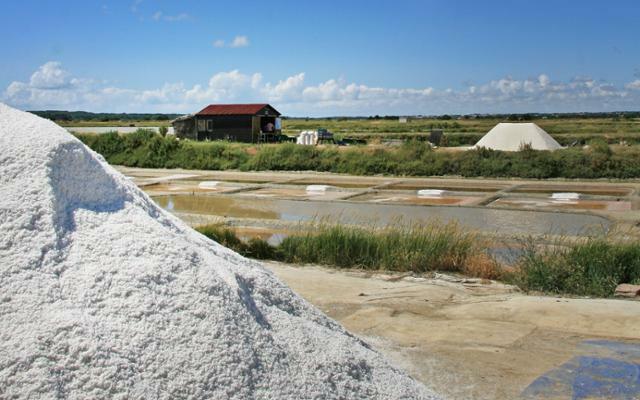 The salt, white gold, is at the very origin of the village of sauniers that is the Island of Olonne. 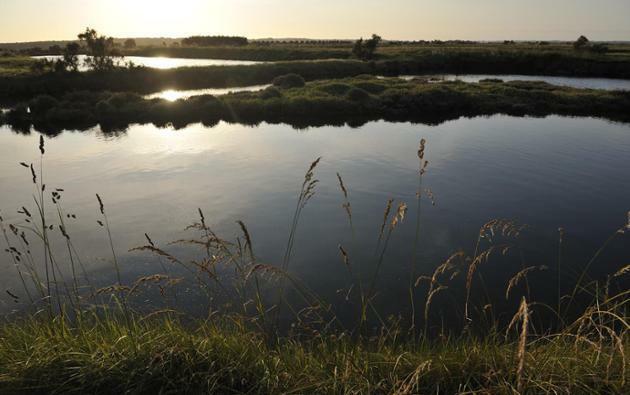 Most marshes have become fish marshes for eel and mule breeding. 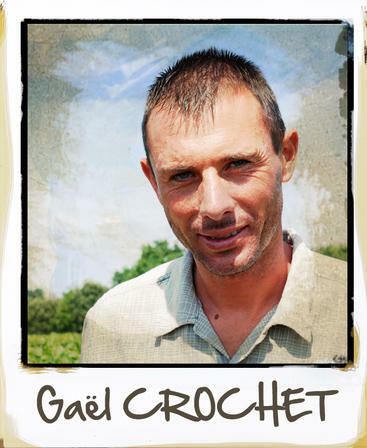 Formerly, very important in the northwest of the Vendée, saliculture, or cultivation of salt, now represents only a few jobs. 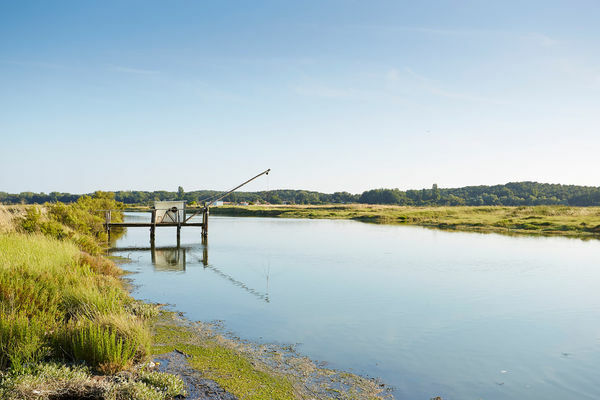 In the 1980s, salt production in the Vendée marshes seemed to be wasting and destined to be abandoned; The joint efforts of the department of the Vendée and the coopérative aquasel, from 1992, have made it possible to rehabilitate the farms and to redevelop this economy. Seven salt marshes are still in operation today. 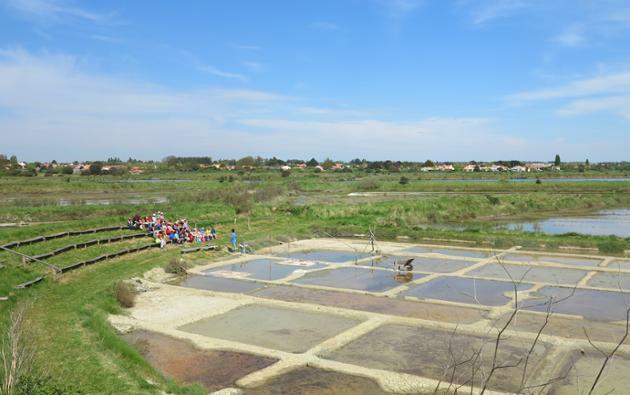 The saltworkers will be pleased to welcome you: in the Salines, 4 marshes are in operation at the Sables d'Olonne (marshes of the Aubraie) and 3 salt marshes on the Island of Olonne (marshes with beans, marshes Avocettes and marsh Rivolia ). 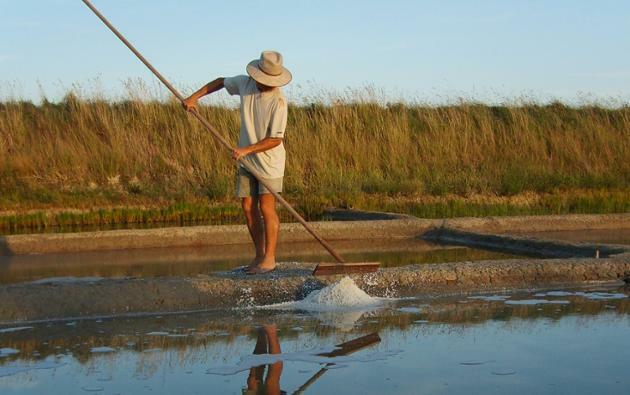 The Vendée sausiers now produce quality salt and export it to Canada and the Nordic countries. 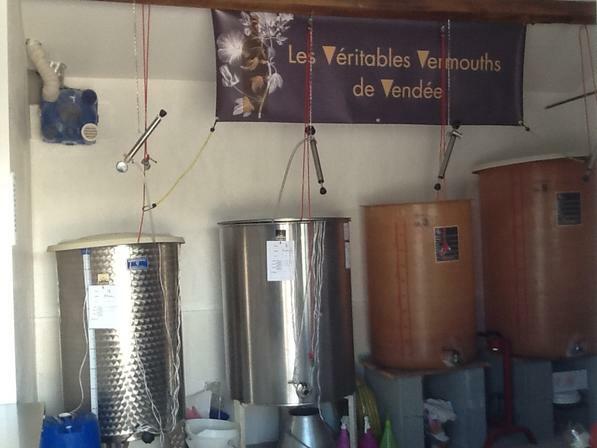 They also sell part of their harvest to salted the hams of Vendée. The salt marshes now attract a large number of tourists who discover this upgraded profession. 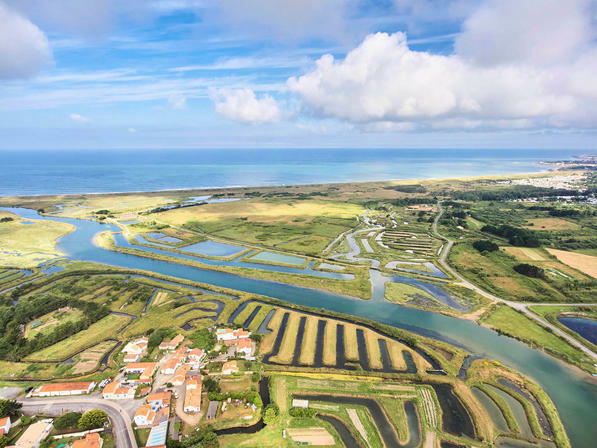 * 3 Salt Marsh farms on the Ile d'Olonne (4 basins) located on the D87: Saline de la Vertonne, the Marshes of the Avocettes, and the Marsh Rivolia. 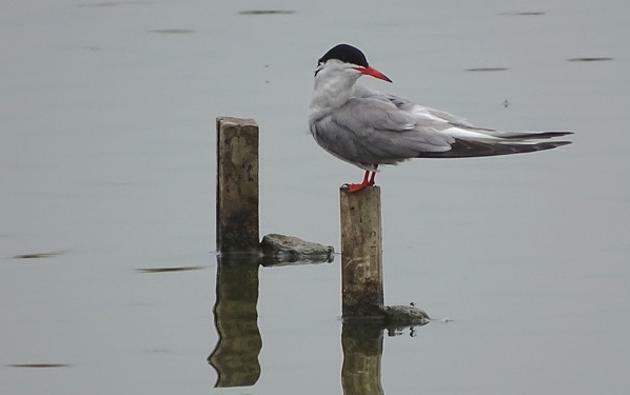 Sale of marshes on site from April to September. Free visit all year round. 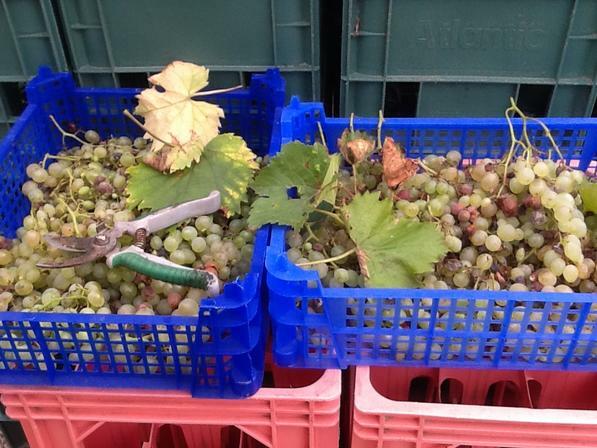 From June to September, during the harvesting period, the Ile d'Olonne sausiers will be on site from 9 am to 7 pm. 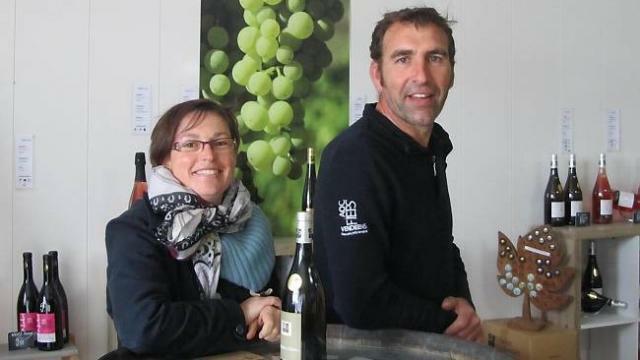 SALORGE DE LA VERTONNE - MARAIS AUX FEVES: Benoît and Matthieu will make you discover their work through their products and walks discussed. 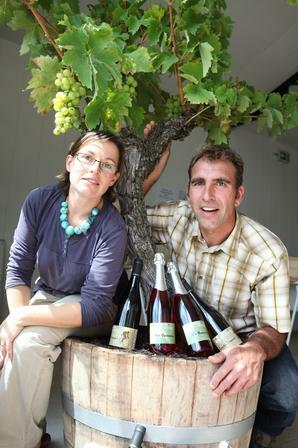 Guided tour by the saunier from April to June and September every Tuesday and Thursday at 5pm. In summer, every Tuesday and Thursday at 11am and 5pm and Wednesday at 5pm. 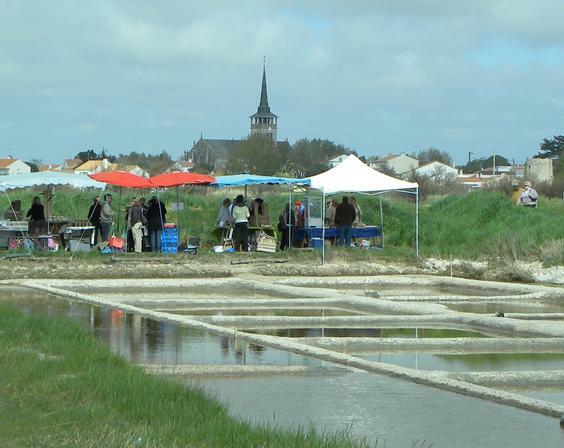 Farmer 's market and artisan on the salt marsh of Salorge de la Vertonne on 23 April 2017. 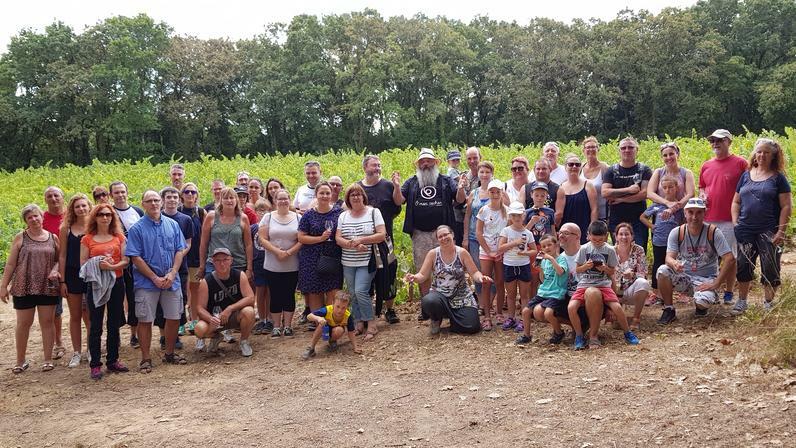 The Raffin family welcomes you on its salt marsh and explains with passion the millenary trade that it exercises since 1744 (9 generations). Yohan Eveno proposes an exploitation respectful of the traditions and the methods used during the last century. A first church was built at this site around 1200. It was restored in the 17th century (choir) and at the beginning of the 20th century. Free access to the church all day. 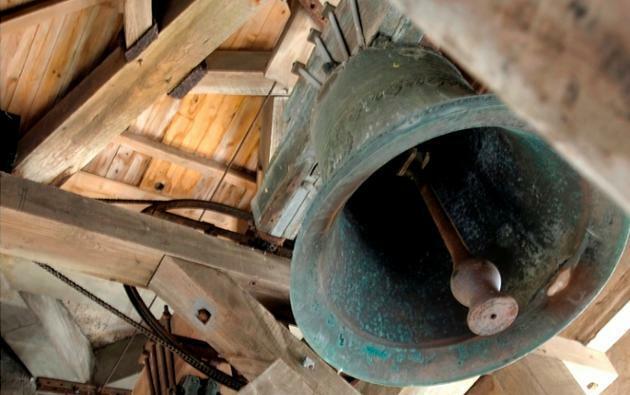 During the ascent, discover the vaults and bells. Above, superb panorama on the marshes guaranteed. Open to the visit in season. Paying. Children's Quiz with reward at the key! Code: discovery circuit of the heritage of the island of Olonne on foot, by bike in flashing the qr codes. 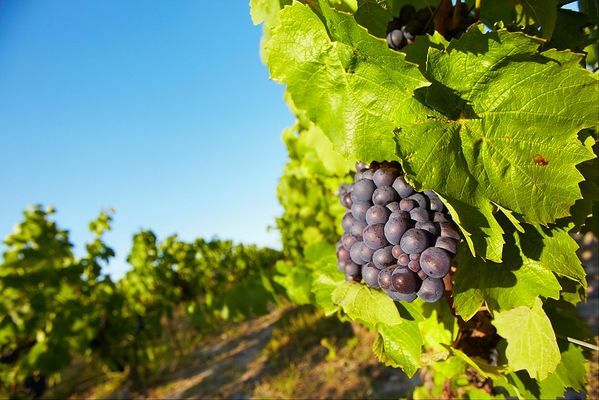 FESTIVAL OF THE WINE HARVEST: Saturday 14 October 2017. 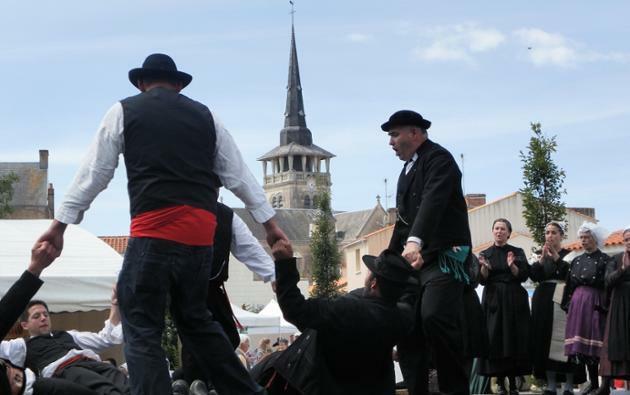 Organized by the Committee of Festivals of the island of Olonne, Tradition Gestuelle in Vendée, the town, the TO and the Community of Communes. FESTIVAL OF THE OLD BUSINESS: Saturday 15th and Sunday 16th July 2017. 37th edition. Festive and popular evening, for a beautiful opening of the festival of the Old Crafts. 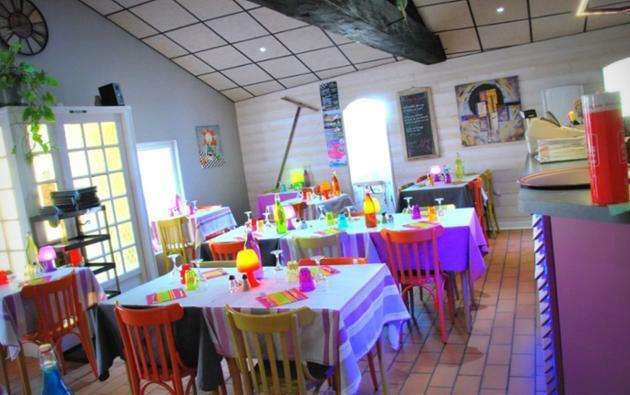 - Meal with our specialty "la seiche islaise", and animated by a group of music. - Evening dancing, Place de la Mairie. Sunday 16 July 2017: The party takes place in the streets of the village, on the edge of the Marais. A popular rendezvous became one of the great attractions of the summer. Many craftsmen revive lost traditions. 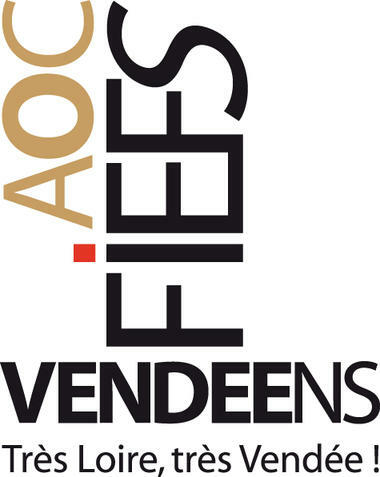 Animations throughout the day in the village streets from 10am. You will discover more than one hundred artisans in activity divided into 6 themes: the guys of the building, the world of the earth, the seafarers and marshes, the crafts, the stalls of old, the traveling trades. 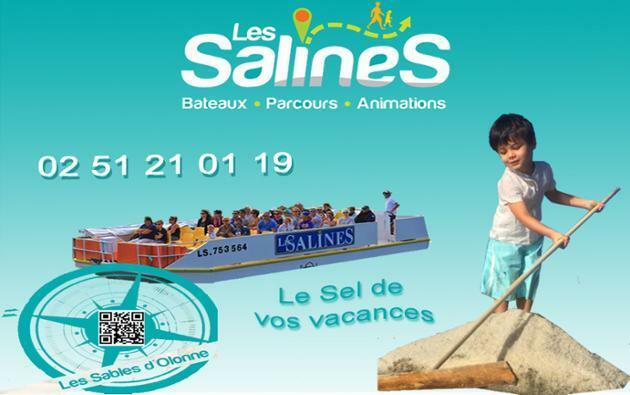 Other randos: pedestrian excursions accompanied in season in the Island of Olonne. 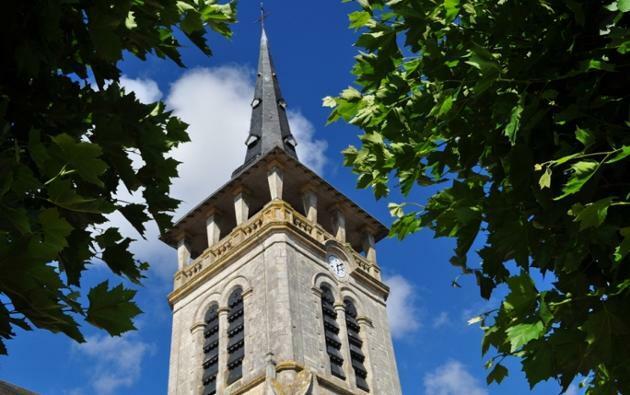 The bell tower market, market of local food products, all year round every Friday morning, place de l'Eglise from 8am to 1pm. Night market of art and local products, Wednesday 19 July and 9 August, place of the church. 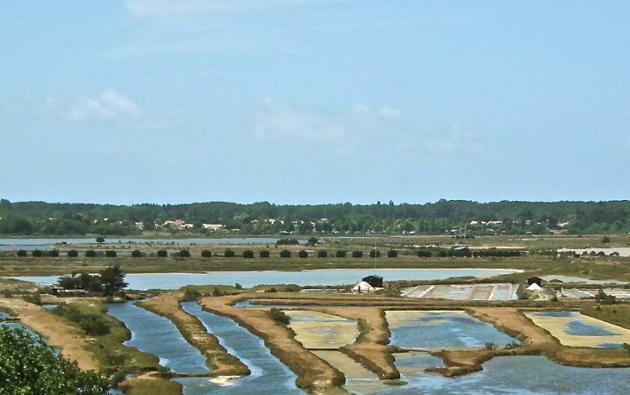 Farmers 'and artisans' market on the salt marsh of the Saline de la Vertonne: Sunday 23 April. 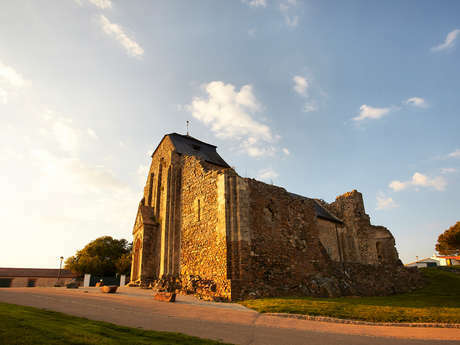 Visit the church and museum of "la petite gare"
Booking is recommended. Number of places limited to 20 people. 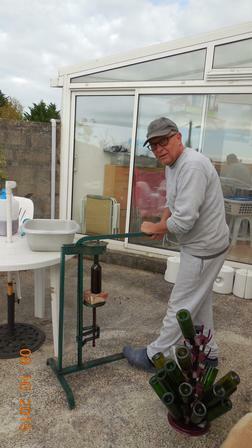 Life in the land of Olonne in the early twentieth century: agrarian instruments, tools, anecdotes, headdresses. Visit to the panoramic bell tower. 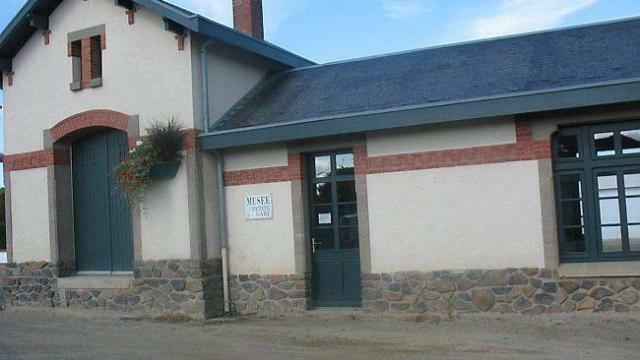 Former station of the railway network set up in Vendée in rural and coastal areas. This tramway line of the Vendée was put into operation on 1 April 1925. 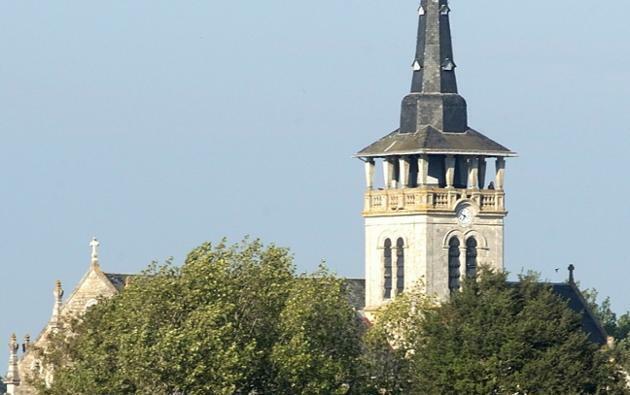 It linked Bourgneuf-en-Retz to the Sables d'Olonne. The train favored commerce and tourism until 1949. It stopped circulating competed by the automobile. A tour starts from the bell tower of the city. 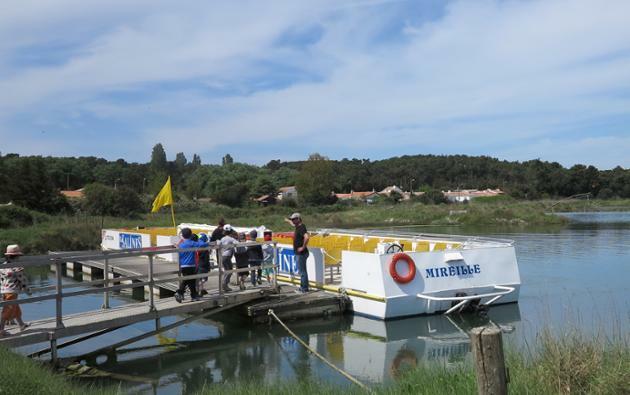 Then, the visitors, taken in a cart, go to the small station of L'Ile-d'Olonne. Restored in 2000 to make it an ethnographic museum, the small station tells the story of the Isles at the beginning of the 20th century: we see local headdresses, agricultural instruments, the history of salt and marshes. It allows us to better know the life of the Islais of the time. And we also discover the history of the departmental railway. This network, commissioned in 1925, connected Bourgneuf-en-Retz to the Sables-d'Olonne and the last station-master was a woman. The train, nicknamed "little tacot", transported, in 25 minutes, the salt of L'Ile-d'Olonne to the Sables-d'Olonne, to preserve the fish. 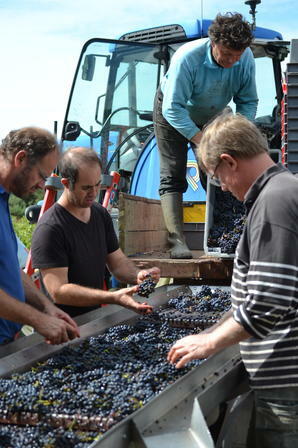 Open year-round, every day except Sunday evening, Monday and Wednesday evening (September to June) and Monday (in July). Specialty of the chef: sauerkraut from the sea. Covered outdoor terrace on the forecourt of the church. Come to discover this environment in insertion at the Observatory of Birds * on the Island of Olonne or in an unusual way with the nature visits proposed by the Association of Defense of the Environment: Insects with sights (observation of life Insects of the marshes), Millefeuilles (Discovery and picking of wild plants to edible or medicinal), initiation to the drawing of birds, workshop maintenance products and toothpaste, family game of trail. 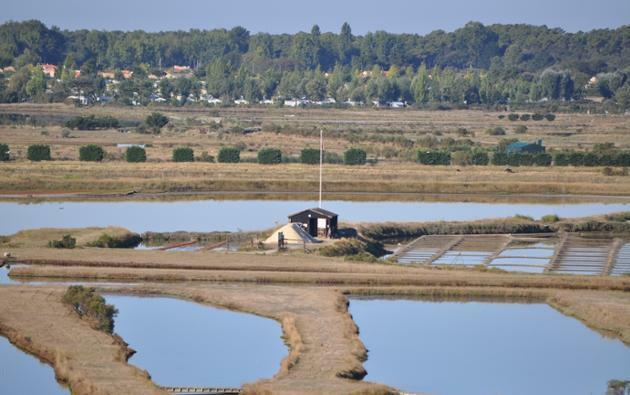 Observatory of birds and ornithological reserve on the Island of Olonne: exceptional panorama on the swamp of Olonne. 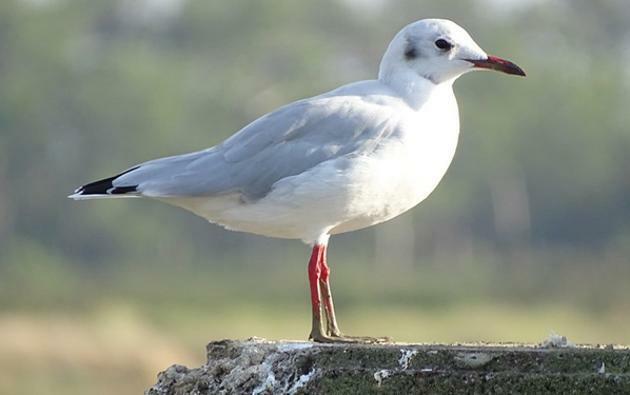 More than 180 species of birds observed including migratory birds. Open from mid-June to early September, every day. Paid entry. Provision of a telescope. 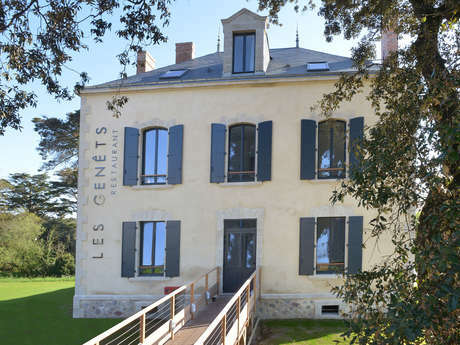 The bird observatory, which is located on the Ileau site, where the vine is still cultivated (cave Michon), if a visit to the farm is planned, Birds can come to the exit, either with a guide and telescopes (paying) or free visit to enjoy the panorama (free, permanent access, telephone before to not have 2 groups simultaneously). 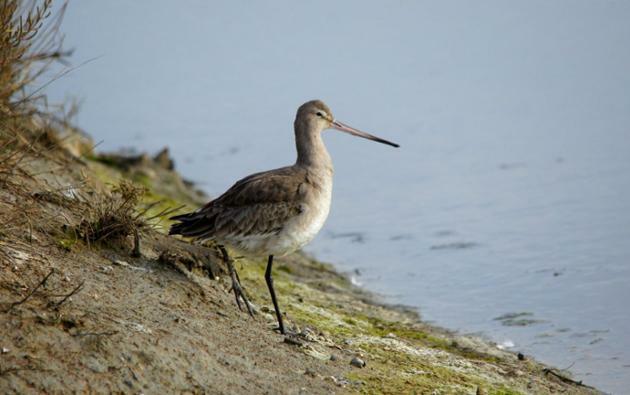 Guides, enthusiasts of ornithology and equipped with long views will welcome you and will make you share their knowledge. 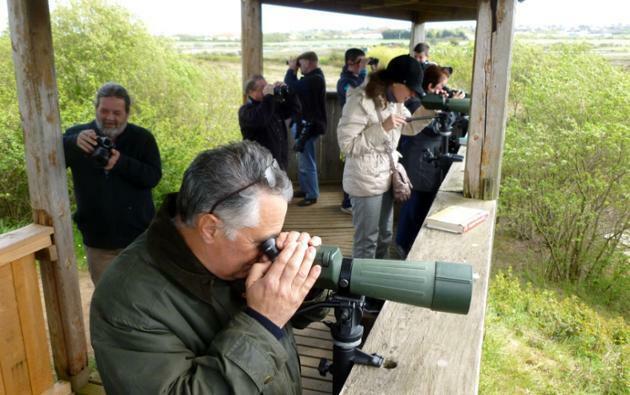 Guided tour of the Olonne marsh from July 1st to September 13th: ecological and ornithological interests. Commented tour from 10am to 11:30am. 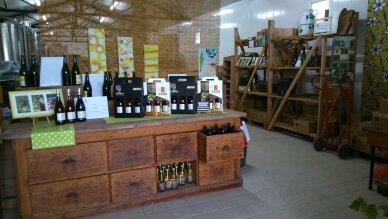 Naturalistic shop on site and point of sale of the Nature Outings of the ADEV. 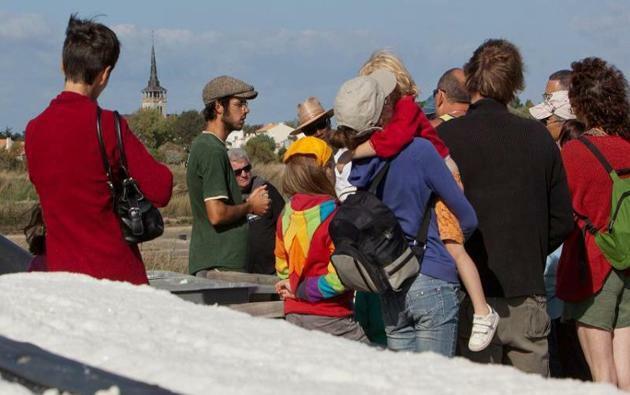 From April to September, ADEV offers Nature Outings (insects, plants ...) and for groups: all year round by reservation. Adult 3,50 €. Child (7-17 years) 2 €. Adult 5€. Child (7-17 years old): 3€. 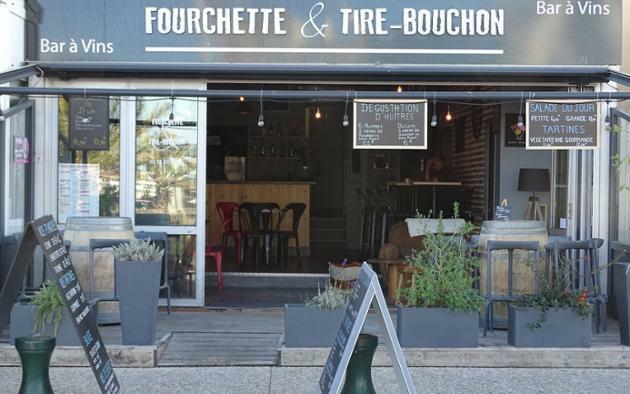 New tasting chai at the place 'Les Clous' in Ile d'Olonne. 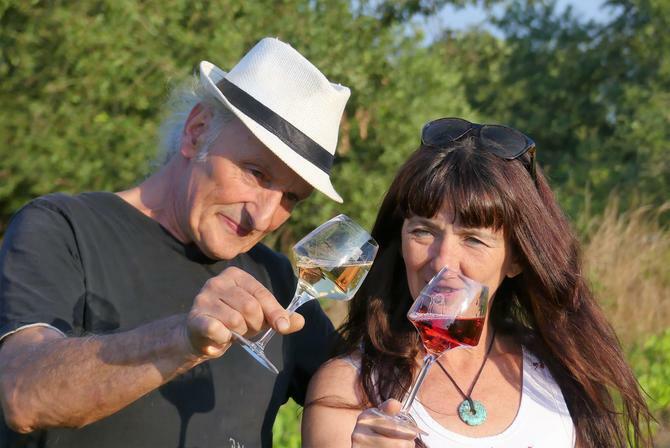 Guided tours tasting every Wednesday in summer by reservation. In July and August: 9.30 am to 12:30 pm and 2 pm to 7 pm. Off season: 9.30am to 12.30pm and 2pm to 6pm. Home groups (50 pers. ), Disabled access, facebook, logo fiefs vendéens AOC, logo 'independent winemaker', logo organic farming, demeter, biodyvin, logo ecocert, Welcome is beautiful here. 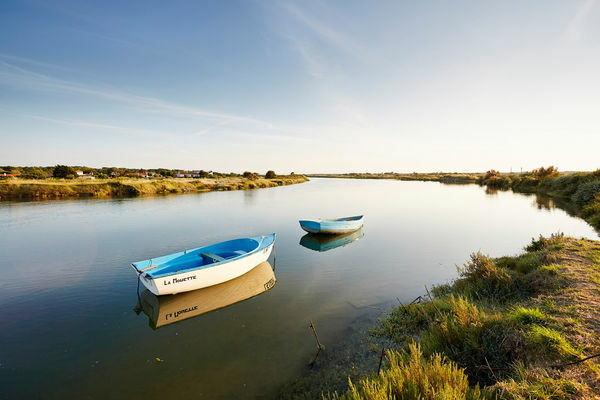 Surf the Auzance in the heart of the marshes in L'Ile d'Olonne. 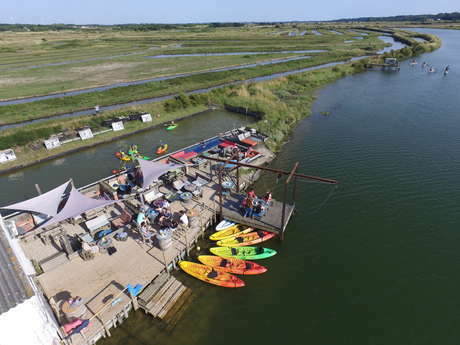 - Rental of kayaks, canoes or stand up paddle for 1h, 2h, 3h, 4h. 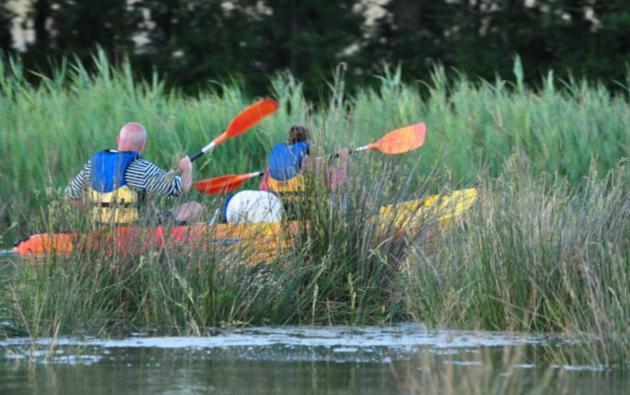 - Framed themed outings in canoe or kayak (discovering fauna and flora, at dusk, under the stars or at sea). All the dates of the framed exits are available on the website. Framed outing (max. 9 people) in stand up paddle with a State Patent. Out of season (May-June-September): every day on reservation. July-August from 9.30 am to 6 pm (reservation recommended). Stand up paddle free 11 € / 1h, 14 € / 1h30, 17 € / 2h,. Possibility to rent combination (shorty). Exit framed with a State Patent (tariff per person). From 6 years (adapted lifejackets). Possibility of supervision for birthdays (walks and games), centers of leisures and works councils. Chèques-vacances accepted. Car park. Picnic area. Footbridge of the Fosse du Gendarme nearby. 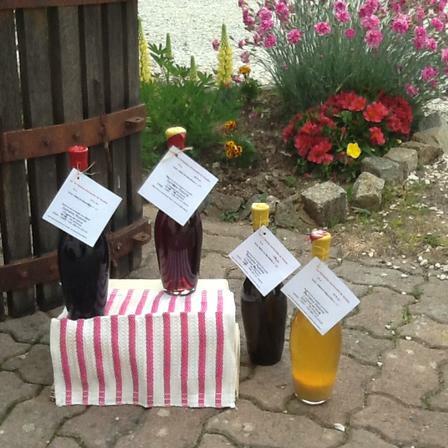 Present on the Brem sur Mer market in July and August on Tuesday and Friday mornings (next to the Post Office). Tasting of the various cuvées. 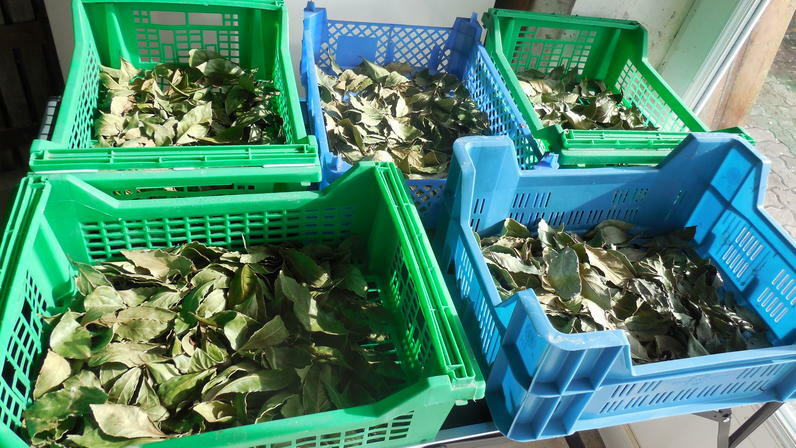 Manual harvest. 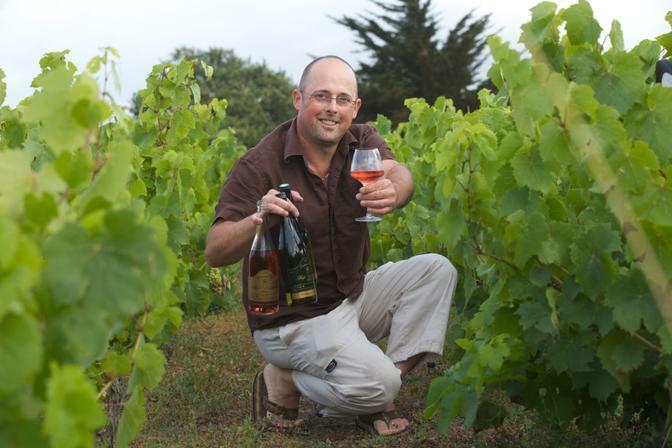 Red and sparkling white rosé wines, 'bubble song'. Out of season: Tuesday to Friday 12am to 12.30am and 6pm ​​to 7pm + Saturday 10am to 12.30am and 4pm to 7pm. Groups welcome (30 people), ample parking, disabled access. Former oyster farmhouse located at the confluence of two rivers, Auzance and Vertonne, the team of the Cabane will be happy to welcome you in an exceptional setting with its concept of oyster bar. Come to rest in this place conducive to relaxation and always in a friendly atmosphere. 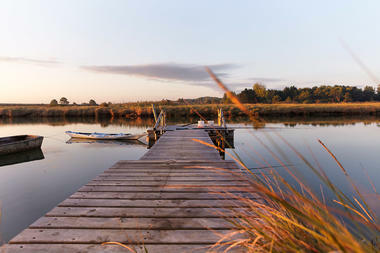 On-site canoeing and stand-up paddle rental or guided fishing. Open every day in season. Weekends and public holidays from Easter to the end of September following weather. Disabled access, facebook, take-away, entertainment, small smart logo. 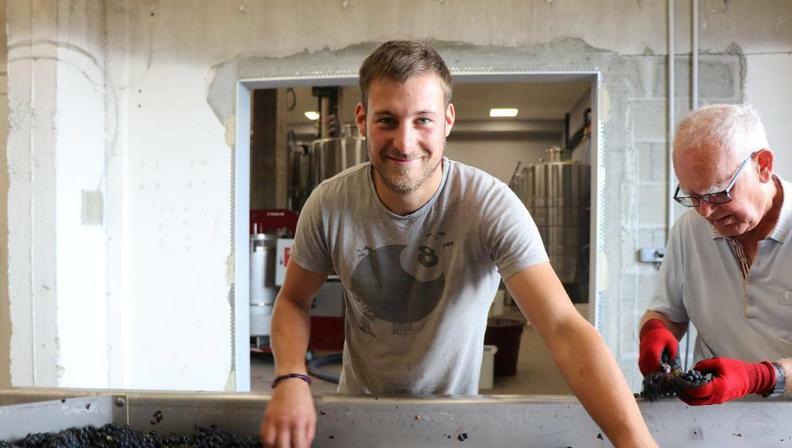 Young family stable proposing to the year: courses, various walks, various pensions, various disbursements. For young and old, with ponies or horses of all sizes. Open to all levels. Do not be influenced by the denomination! Here is a nectar that should be discovered "blindly". 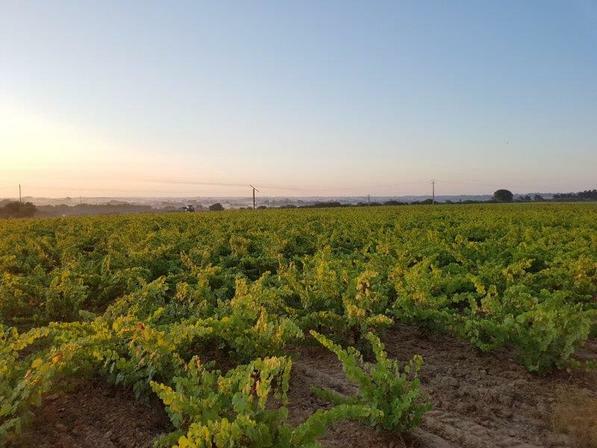 First let the fruity aromas of the soil of Brémois rise, then, find in the mouth the freshness of the undergrowth after a summer storm. 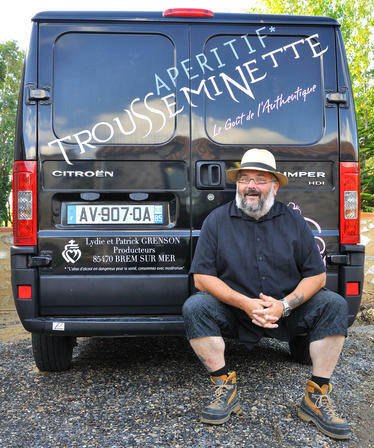 The "Trousseminette" is authenticity in its purest form, like the warm character who gave it life by taking inspiration from the alchemical dosage kept as a secret in a few farms in Vendée. 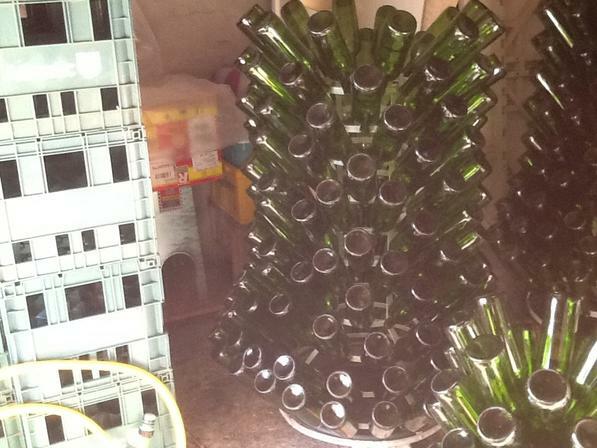 Now, open your eyes to the elegance of this bottle to rank among the 'must'. 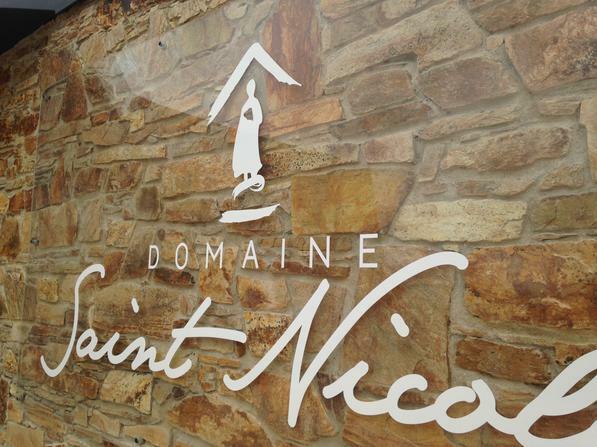 Find in our cellar the wines of Brem, Mareuil, Vix, Chantonnay. 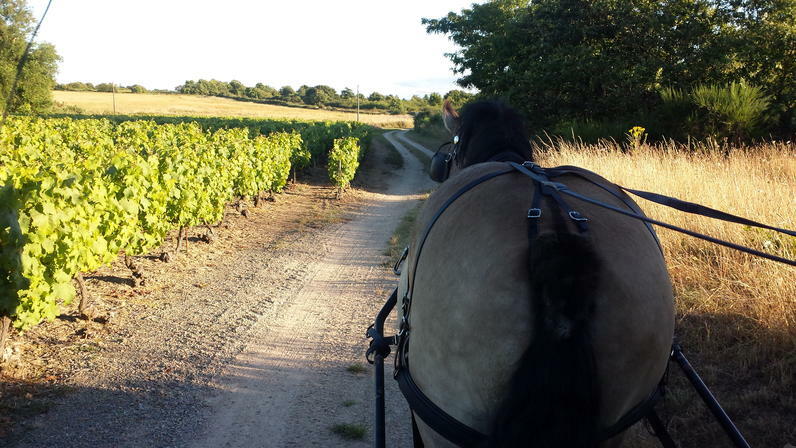 Tasting in the vineyards (by appointment). 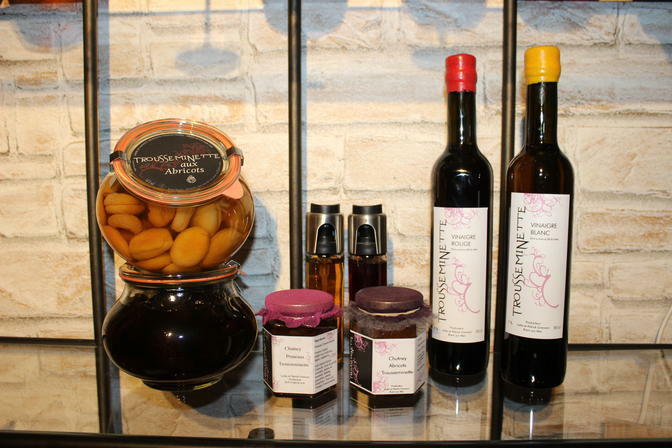 Other products: vinegars, chutneys, prunes and apricots with trousseminette. By appointment and Saturday morning 9 am to 12 am. Off season: Tuesday to Friday 5:30 pm to 7 pm + Saturday 10 am to 12.30 pm. 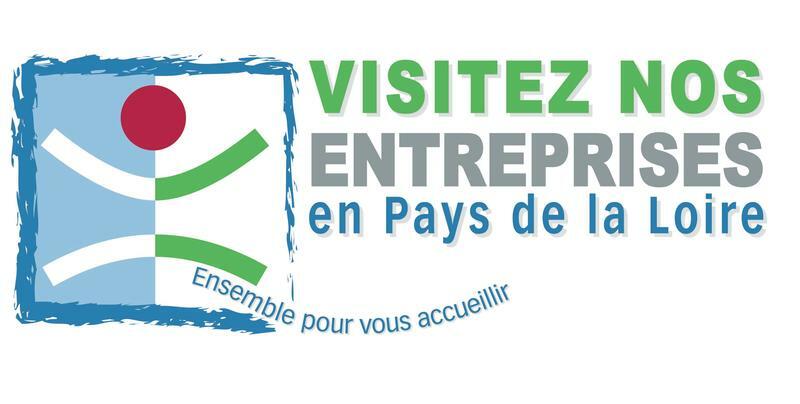 Groups welcome (20/25 people), handicapped access, facebook, Fiefs vendéens AOC. 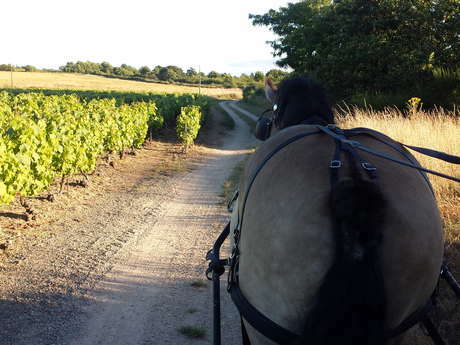 Educational and fun trail in the vineyard with Shetlands ponies; Discovery of the vineyard on the theme of the natural space of the vineyard. Home in English, Dutch (German) and French. 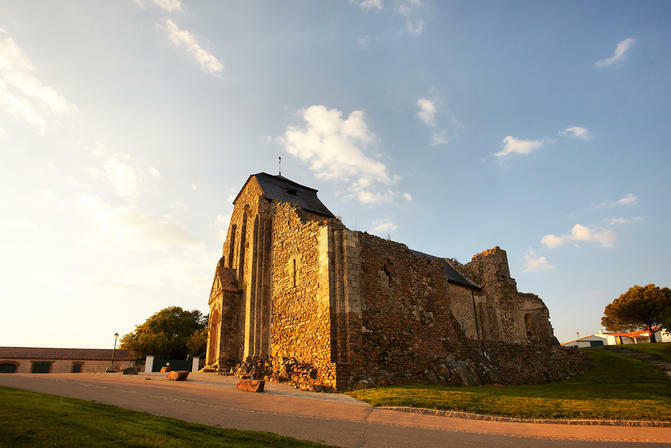 Romanesque abbey church of the XIth century, one of the oldest of the Vendée and one of the most beautiful medieval monuments of the department. 17th century: free visit all year and guided tours in summer. Nearby, St. Nicolas cemetery with its Croix Hosannière. Nearby: the Calvary St Nicolas, tumulus dating from the feudal period. This feudal mound is 22 m high and 170 meters in average circumference. Below the church of St Nicholas, this shady valley is bordered by the Brook of the Ecours. 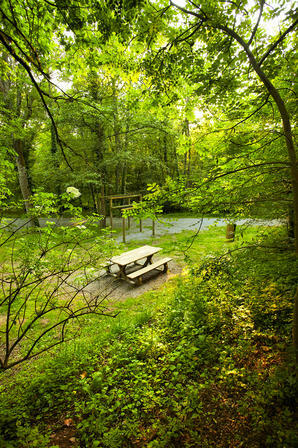 Picnic area and small sports track. 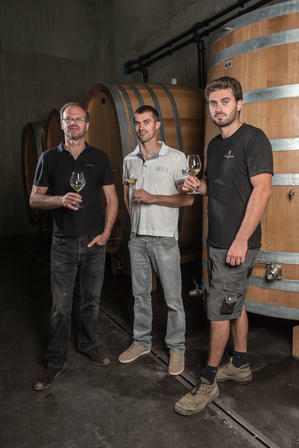 Winegrower : Thierry Michon and his two sons Antoine and Mickael. all year round, from 9am to 12.30pm and from 2pm to 6.30pm. July-August, 9.30am to 12.30pm and 2pm to 7pm. 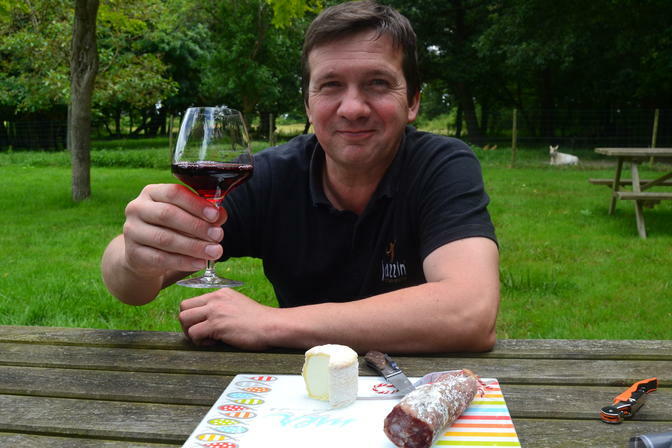 There is no review about Routes Des Vins ' Côte De Lumière', be the first to leave one !